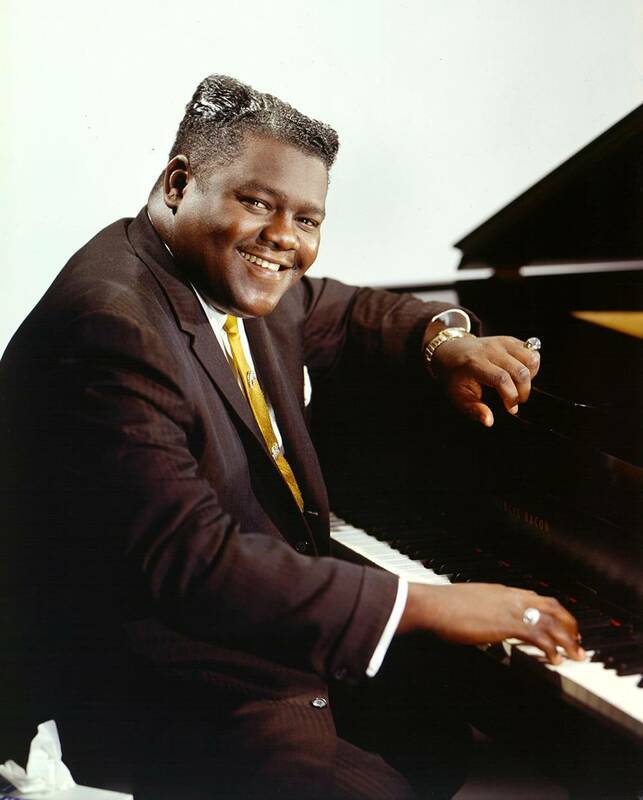 In celebration of Fats Domino’s 88th birthday, THIRTEEN’s American Masters presents, Fats Domino and The Birth of Rock ‘n’ Roll, premiering nationwide during Black History Month on Friday, February 26 at 9 p.m. (CT) on OETA (check local listings). The one-hour documentary traces how Fats Domino’s brand of New Orleans rhythm and blues morphed into rock and roll, appealing to black and white audiences alike. Actor Clarke Peters narrates. Among those interviewed are producer/songwriter/bandleader and longtime collaborator Dave Bartholomew, who co-wrote and produced most of Domino’s hits; J&M studio owner, engineer and producer Cosimo Matassa, who was involved in creating rock ‘n’ roll recordings by Domino, Little Richard, Ray Charles, Lloyd Price and many others; and saxophonist Herb Hardesty, a mainstay of both Domino’s and Bartholomew's bands. As a child, Domino liked to tinker on the family piano. His life was changed forever when his sister married Harrison Verrett, a New Orleans musician (banjo player), who taught him how to play the piano and introduced him to the music scene. Domino wanted to play the piano so much that he quit school after fourth grade, and worked in a factory in order to perform in local nightclubs. Among Domino’s musical influences were boogie woogie piano players Meade Lux Lewis (Boogie Woogie), Pete Johnson (Low Down Dog), and Amos Milburn (Bad, Bad Whiskey); and singers Big Joe Turner (Low Down Dog) and Louis Jordan (Caldonia). While playing in the Ninth Ward clubs, Domino met Billy Diamond, a local bandleader and bass player, who invited him to play in his band at the Hideaway Club in New Orleans. It was Diamond who gave him the nickname “Fats” – even before Domino made a record -- after the great piano player Fats Waller. Soon, Domino became a regular at the Hideaway Club, drawing crowds and accolades for his musical abilities. However, it was his partnership with Bartholomew, pioneering R&B producer, songwriter, and New Orleans trumpeter, whose collaboration and guidance as collaborator, arranger and bandleader that would have the most profound impact on his career. When Bartholomew took Lew Chudd, Imperial Records, to the Hideaway to hear Domino play Swanee River Boogie, which was his specialty number at the club, Chudd signed Domino on the spot. Two weeks later, Domino recorded his first record, The Fat Man, which attracted national attention, rising to #1 on the February 1950 R&B charts. The Fat Man is often cited as one of the first records in the rock ‘n ’roll style. For the next five years, Domino and Bartholomew’s band recorded a steady stream of hits for Imperial Records. The crossover record that would sell to blacks and whites was Domino’s 1955 Ain’t That a Shame. Within a week, the song was covered by Pat Boone. Vintage performances of Domino and his band featured in the film include I’m in Love Again, Blueberry Hill, Blue Monday and Walking to New Orleans. By the end of 1956, Domino was making appearances on major network television (e.g., The Steve Allen Show, The Perry Como Show and The Ed Sullivan Show), and even in Hollywood films (The Girl Can’t Help It and Shake, Rattle and Rock). In 1957, the Domino band traveled 13,00o miles across the United States working 355 shows, and selling out nightclubs and concert halls whenever they played. Yet, despite being the most popular rock ‘n’ roll band in the country, with a sizable number of white fans, Domino encountered racial segregation. As they toured, they were denied access to lodging, food and services, and forced to used “For Colored Only” facilities. “He [Domino] had four major riots at his shows partly because of integration,” says Fats Domino biographer Rick Coleman. “But also the fact they had alcohol at these shows. So they were mixing alcohol, plus dancing, plus the races together for the first time in a lot of these places. By the end of 1963, a new generation of rockers was taking center stage. Though his days of top 10 hits were behind him, Domino continued to record. For the next 40 years, he toured internationally performing his hits at sold-out shows around the world. In 65 years, he never departed from his boogie woogie roots. And until his final public performance in 2006, Bartholomew and Hardesty were often in the band. Fats Domino currently lives in his native New Orleans. The DVD featuring both the one hour PBS broadcast and the 90-minute “director’s cut” will be available on the same day from Shanachie Entertainment.